We are still months away from getting the new Galaxy Note 6 to our hands. But it has already become one of the hottest devices of this year. Thanks to the rumors that have taken its popularity to a new level. In this article, you will find two of the most buzzing rumors on the Galaxy Note 6. 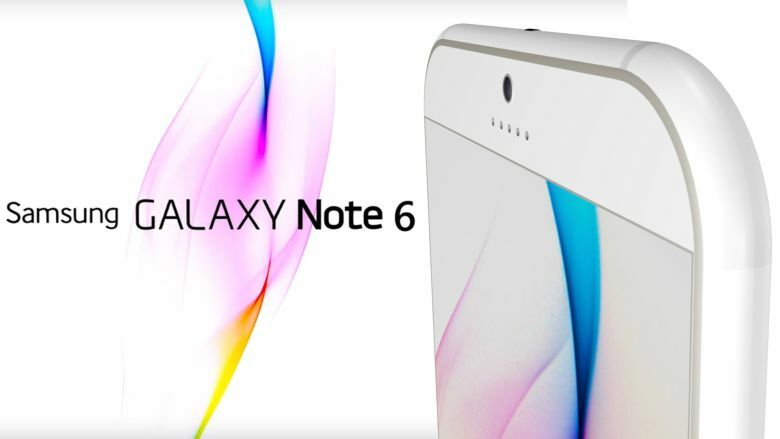 During the last several months, rumors have been revealing specification of only one model of Galaxy Note 6. And it looks logical, as Samsung hadn’t refreshed its Note lineup with two models simultaneously. However, this time, the Korean tech giant might be planning to do it. According to the different rumors, the next-generation phablet will be revealed in two different variants. The first one will be simply called the Galaxy Note 6. On the other hand, the second one will be known as the Galaxy Note “Lite”. It will be manufactured particularly for the budget minded consumers. The Note 6 will come with 5.8-inch Full-HD display and an upgraded S-Pen. It will be packed with the Snapdragon 823 processor and 6 GB RAM. As a result, it will become one of the most powerful phablets of 2016. Moreover, similar to the Galaxy S7, the microSD card will return to the upcoming device. On the other hand, the Galaxy Note 6 Lite will come with the relatively less powerful Snapdragon 820 processor and less RAM of 4 GB. It will have the same 5.8-inch display as its standard counterpart. However, its resolution will be lowered to 1080p. It looks absolutely OK, as it will be a cheaper device. It will definitely emerge as a huge threat to all the top manufacturers of the budget-friendly phablets. The cheaper model of the upcoming phablet will have almost the same specification as the new Galaxy S7. Similar to the current flagship smartphone, the Note 6 Lite is strongly expected to feature the Snapdragon 820 processor and 4 GB RAM. Moreover, the size of the display will also be equal, except the display resolution. Overall, both of them look quite identical. If it really happens, the Galaxy S7 will definitely face a tough competition from the Note 6 Lite. However, we are several months away from the potential release date of the device. So, there is always a possibility of Samsung changing its plans to avoid internal competition between its devices. Keep visiting our website to get more news and rumors on the Galaxy Note 6.